Rewmar MS Polymer Adhesive is a flexible flooring adhesive that is suitable for the installation of any wooden floor to almost any subfloor. The 12kg product has a new improved formula and is packaged in two 6kg foil pouches, in a cardboard box for easy disposal. This also gives the product a longer lifespan (12 months) and is easier to transport. Coverage is approximately 1m² per kg of adhesive. 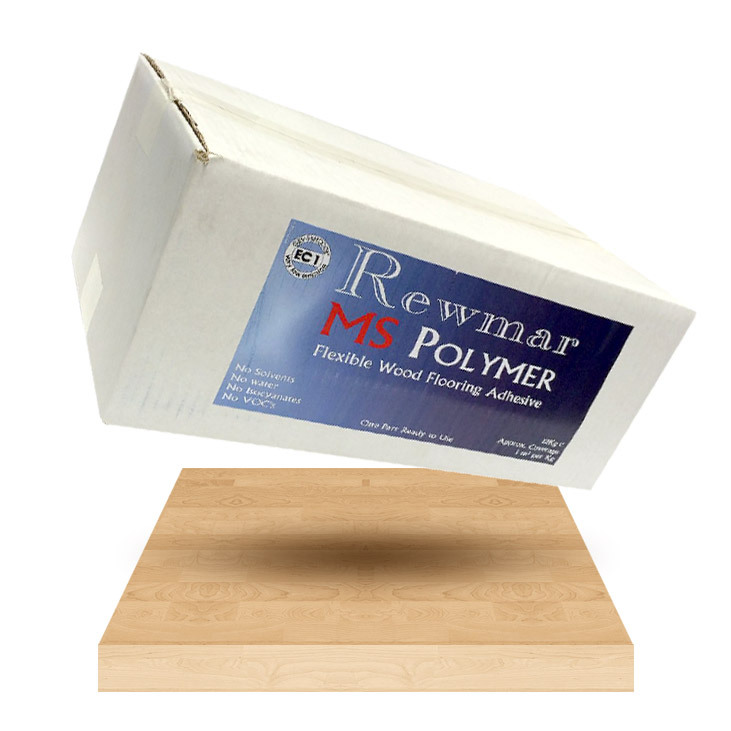 Rewmar MS Polymer is a one part, modified silane based flexible wood flooring adhesive. It is suitable for sticking down any species of wooden flooring to almost any subfloor. When dry it has a high bond strength between the wooden floor and the subfloor but remains permanently flexible. This allows the flooring to move as the seasons change but it will not crack, and the floor will stay adhered to subfloor. If any adhesive is left on the surface of the wood it is easy to remove either wet or dry (following day) and no special chemicals are required. Must be applied using 6mm V notch trowel.